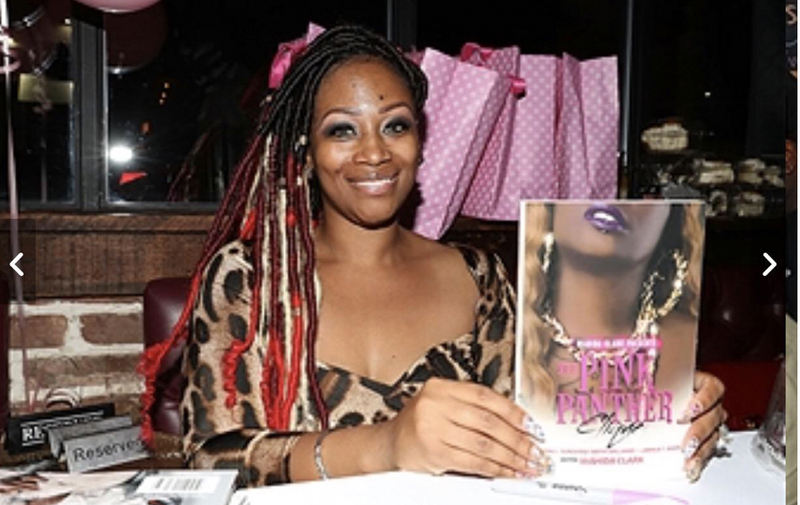 Pink Panther Clique Book Release Party! From Prison Sisters To Boss Chicks! Based On A True Story--- After serving nearly ten years in jail, these group of strong females are using their grappled past to make an impact on the world today. Earlier this week, Sunshine Smith Williams, Jamila T Davis, and Aisha Hall had a Release Party for their debut book “Pink Panther Clique” published by bestselling author, Wahida Clark. The event took place in Harlem at the Manhattan Brew and Wine. The venue was filled with empowering females and males, with tasty treats and some delicious fruit immersed in alcohol from @drinkcup_celebrity.The master of ceremony, Yandy Smith, was holding down the event in a beautiful simplicity black dress. In the Pink Panther Clique, three females meet behind bars and quickly discover that all they have is each other to overcome the malicious system that has enslaved them. From being set up to lied to, it was their courage and faith that led them to their freedom. I had the chance to speak to the publisher Wahida Clark who stated “Everyone knows the stories about men behind jail. But, I Think that it's important for people to know about the women who are incarcerated as well, each of these ladies have a story to tell, and you'll see that in the book. In the words of Jamilia T Davis, “IT’S GOING DOWN!”, so make sure you pick up your copy of the Pink Panther Clique today!